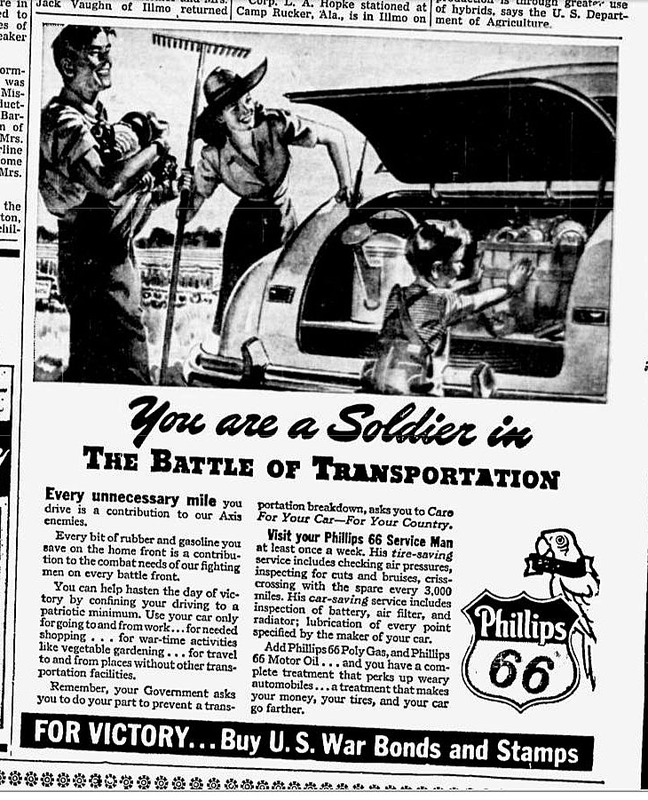 “You are a Soldier in The Battle of Transportation,” read the June 11, 1943, Phillips 66 advertisement in The Southeast Missourian. 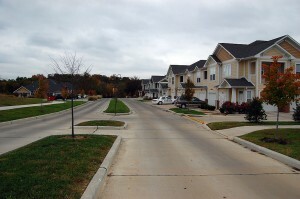 In the same local paper today was a story saying that a $253,000 grant from the Missouri Foundation for Health will pay for 30 to 40 miles of bike lanes along seven Cape Girardeau streets, which officials said will provide a healthy connection to the city’s parks, schools and other recreational areas. What happened to the shared sacrifice Americans were asked to make during World War II? Have you seen or heard anything like this on TV, radio, in print or coming out of the mouths of politicians? After a series of floods that sent water coursing through a local businesses, Cape Girardeau decided to tame the creeks that were causing all the trouble. 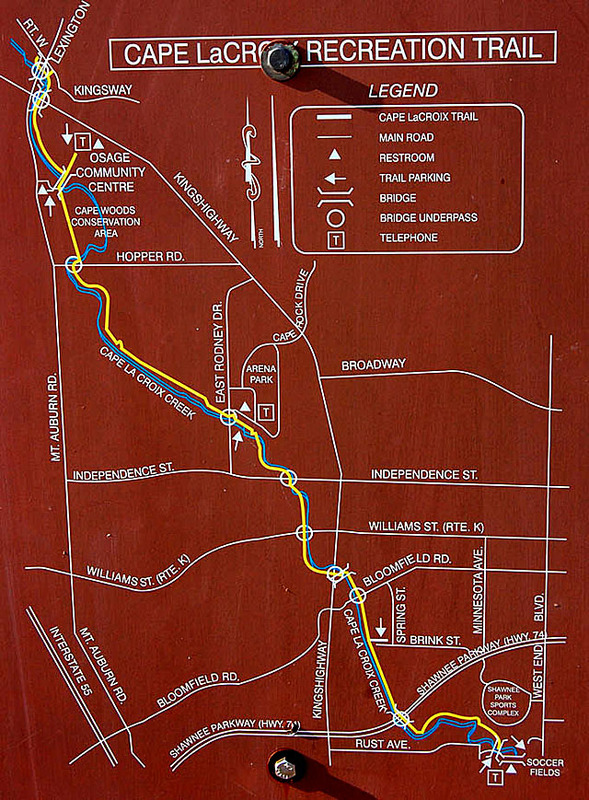 One of the side benefits of that was the Cape LaCroix Recreational Trail, a 4.2-mile multi-purpose path created next to the creek. I wrote back in 2008 how folks from out of town were coming to Cape to ride the trail and causing cash registers to ring. I speculated that it was the most-used non-spectator park in town. I’ve never been on it without meeting tens of bikers, roller bladers, joggers, walkers, families with stroller or people walking dogs. That might make it a little less desirable for hard-charging bike rider, but the town’s definitely getting its money’s worth out of the investment. Suggest to Brock Davis that Cape La Croix Trail is well-used and he’ll chuckle. 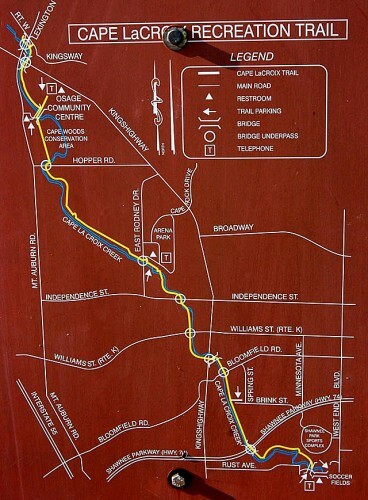 When I was in Cape this fall, I noticed new construction on the north end of the trail. I followed it and found it that about two miles of trail had been added north of the Kingsway Drive / Lexington Ave. trailhead. 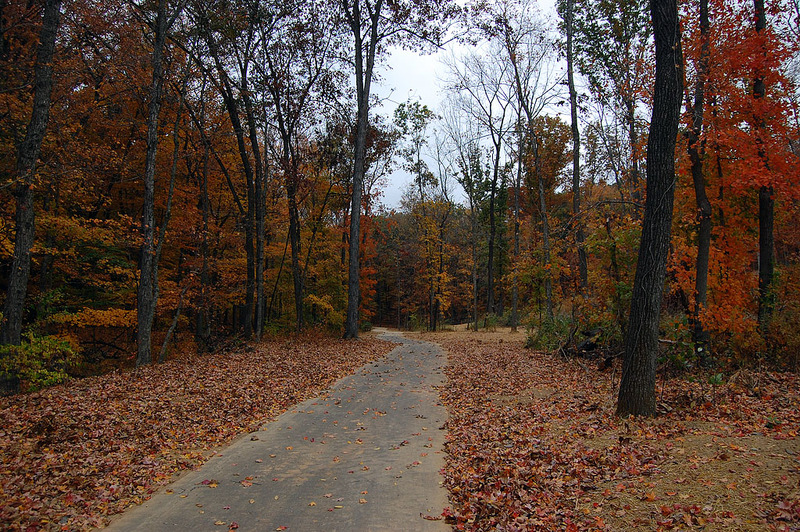 It took it all the way to the North County Park Conservation Center Nature Trail. There, unfortunately, was a sign banning dogs, bicycles and roller bladers on the unpaved walkway. You can get a feel for what the path looks like on my CapeCentralHigh blog. When I was there, one segment under a bridge needed to be paved. My mother shot this photo Dec. 12 showing the whole trail is now passable. The neat thing about this is that it ties in a whole new subdivision under construction. It’s not the mileage that’s so important, it’s the fact that it becomes a viable transportation link for a whole bunch of people who will now have an option other than blowing dead dinosaurs out their tailpipes. 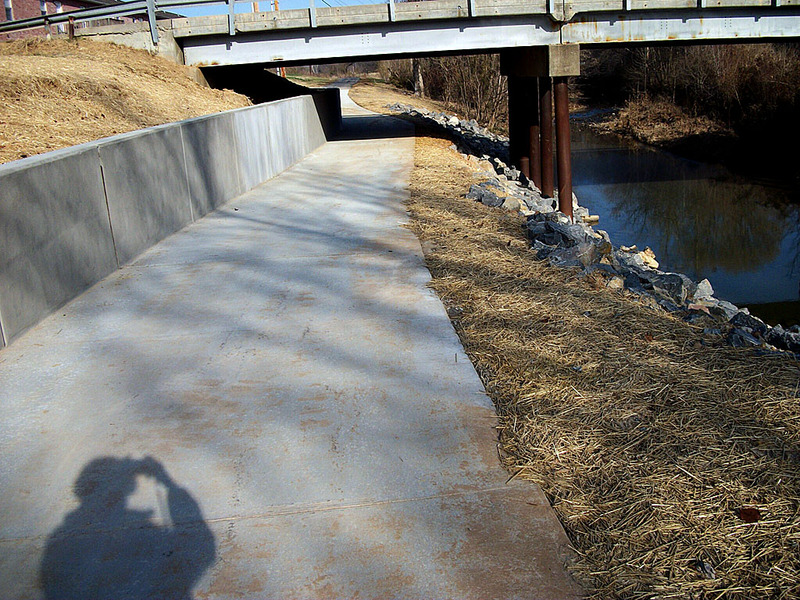 I’m excited about the 2,100 feet of new trail that The Missourian mentions in the Dec. 28 story because it shows a shift in thinking from building “bike trails” for recreational uses to building alternative ways to move around the city. “The project would have two segments to improve the connections between the area along West End Boulevard near the Shawnee Sports Complex and the rest of the city, said Ken Eftink, assistant city manager and director of development services. Cape has a rolling terrain with lots of short, steep hills. The bike trail makes it possible for me to go from my mother’s house on the northwest end of the city all the way to the south part of town without having to fight traffic nor constantly climb hills. 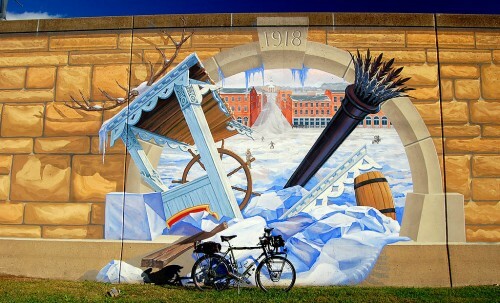 I can pop out along the way to easily make it downtown for a ride along the Mississippi River or go down to see Civil War Fort D.
I ride the trail when I’m in town not so much for recreation as I do for a convenient way to move around. I’m glad the city is thinking in those terms. It’s a lot easier to justify a transportation link in these days of tight budgets than a recreational trail. Hurricanes Earl and Fiona missed us this year, but there’s a regular conga line of waves coming off Africa. Folks in South Florida who got hammered in 2004 and 2005 keep one eye on the weather channel in September and October. We’ve checked our battery supply, loaded in some extra provisions just in case pruned the trees back and stockpiled extra water. 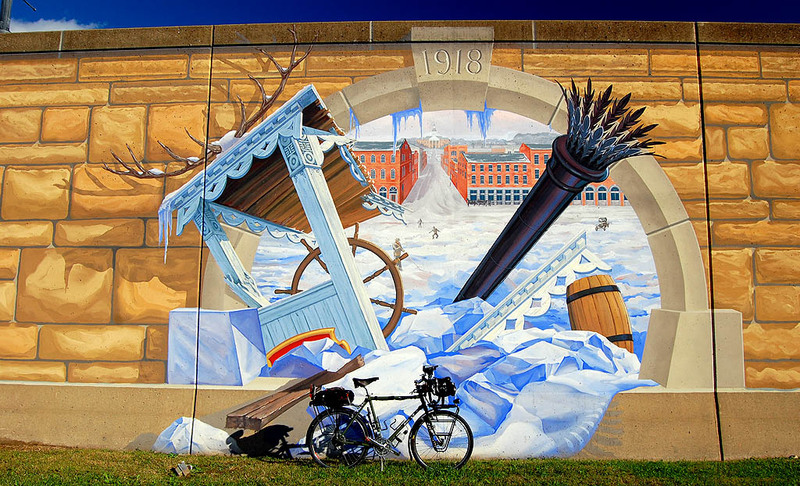 These journalist from New Orleans make the good point that your bike may be the best way to get around in the aftermath of any natural disasters. Keep those tires pumped up, it ain’t over yet. 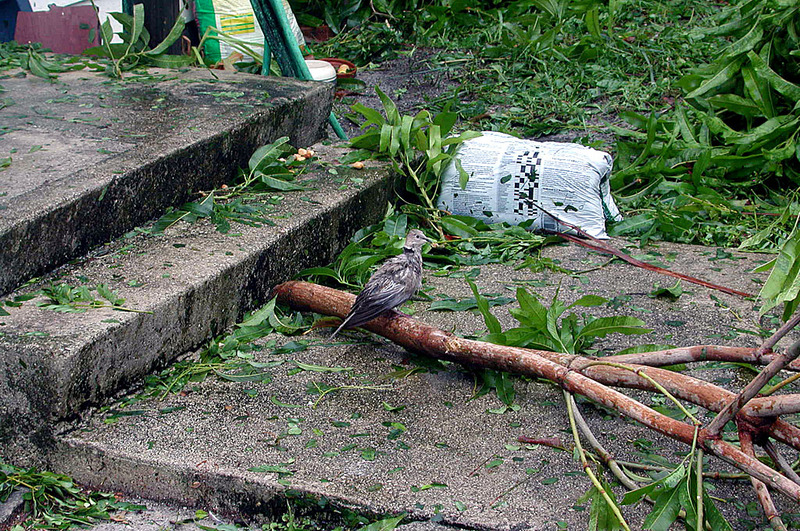 It was a messy weekend on Jupiter Island this weekend. A few riders in the A- group went down, one took a helicopter ride to the hospital, one took an ambulance and one had her husband pick her up. By Saturday afternoon, all were reported in good spirits though one was kept overnight for observation. While waiting for the medics to show up, a southbound group of three riders were paying more attention to the crash than their riding. They touched and the 20 or so of us on the side of the road got to see them touch, flip and crash. They rode off in minutes, mostly unhurt but with some potential mechanical problems. Later in the day, I’m told a rider on a TT or tri bike went down on the steel drawbridge. His deep gash was going to require stitches. Accidents happen. No one was being especially stupid. None of the accidents involved cars, dogs or bad roads. You put enough hours into any sport and you’re going to get hurt. 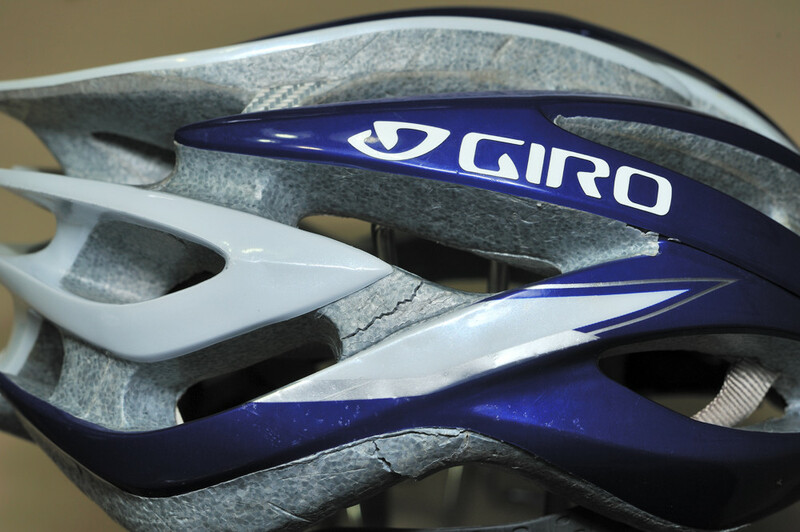 The trick is to be careful and be wearing the right equipment so that any damage is minimized. The crack in the helmet above isn’t all that impressive. 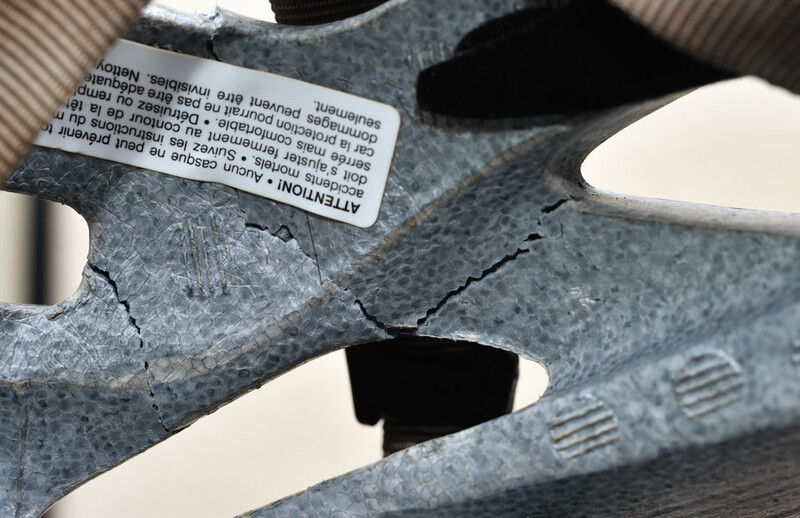 You can see from the photo below, the crack goes all the way through the helmet. This helmet belongs to the guy who took an ambulance ride to the hospital. He is an experienced cyclist with several thousand miles under his belt, many of those on the same road on which he crashed. You don’t get to pick when and where you’re going to crash so it’s best to always ride with a helmet. Those helmet cracks could have been skull cracks. Before you swear off group rides as being more dangerous, keep in mind that you can fall and hurt yourself while riding alone, too. The advantage of riding with a group is that there are lots of people available to provide assistance, get a license plate number and call for help. In either case, wear your helmet. margin-bottom: 10px;” title=”Lake Worth Community Bike Ride 05-26-2010″ src=”http://www.palmbeachbiketours.com/wp-content/uploads/2010/05/Lake-Worth-Community-Bike-Ride-05-26-2010_5282-500×328.jpg” alt=”” width=”500″ height=”328″ />I’m not very good at keeping up with Event invitations that come into my Facebook account. Most of them are for things I have no interest in going to. That’s why I didn’t notice one for the Lake Worth Community Bike Ride and Bicycle Safety event until about two hours before it was going to start. 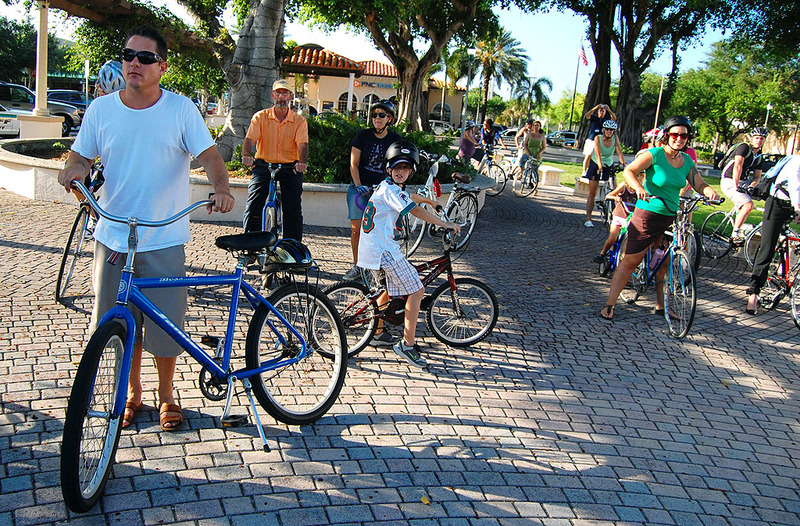 I had a good time covering the city’s bike rodeo last May, so I got my act together and made it down to Lake Worth just as the event was getting started. Taking the lane when the roadway is too narrow for a vehicle to pass you safely without crossing the center line. 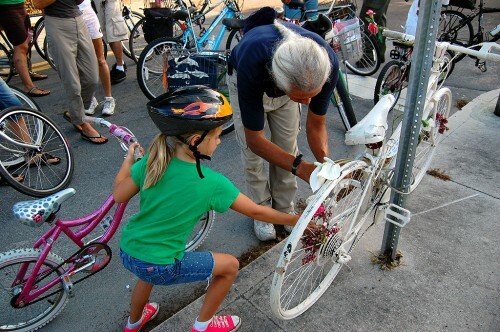 The legal and practical reason for equipping your bike with lights and reflectors. The importance of being predictable: riding in a straight line; signaling turns and obeying traffic control devices. How to properly position yourself on the roadway. In fairness, they did provide Bicyclists Must Think Like Drivers, an excellent brochure by the Florida’s Pedestrian & Bicycling Safety Resource Center, that covered all those subjects and more. For the record, I’m not anti-helmet. You can hear me toward the end of the video recounting the experience my riding partner had when she crashed without a helmet on the Lake Okeechobee Scenic Trail. You can read about her crash here and track her progress three years later here. Sgt. Enrique Ponce told everyone at the start, “It’s gonna be a fun ride.” He was right, but there was one somber moment when the group stopped at a white-painted Ghost Bike to place flowers on the memorial to a cyclist who was killed at that intersection. It was a ride worth doing. I’ll have to watch my Facebook events a little closer in the future.